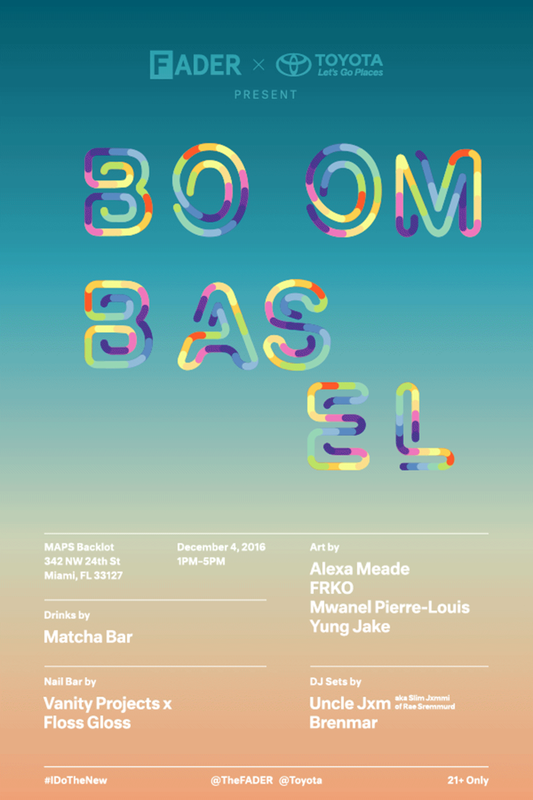 Plus catch DJ sets from Uncle Jxm and Brenmar at The FADER and Toyota’s weekend-long Boom Basel event in Miami. Art Basel, the international art fair that takes place in Miami Beach, is this week. 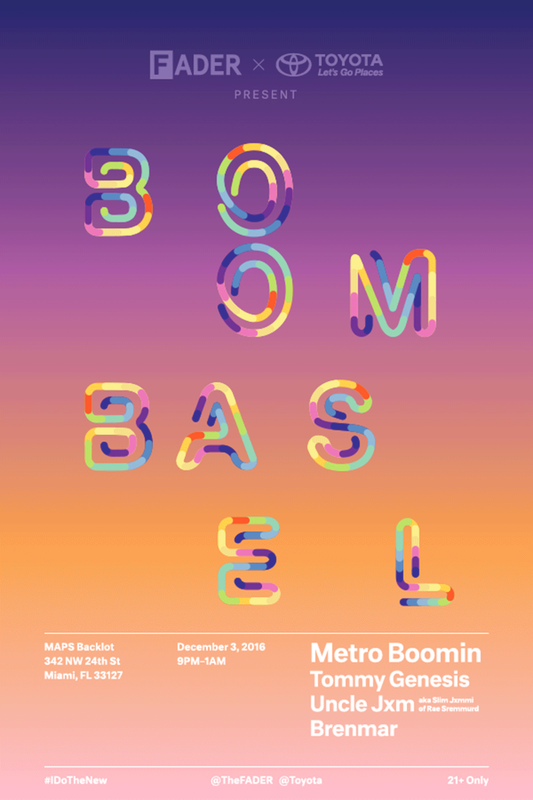 For the second year in a row, The FADER is teaming up with Toyota Corolla for Boom Basel, a weekend-long event at MAPS Backlot in Wynwood. The nighttime party on Saturday, December 3, will see performances from FADER cover star Metro Boomin and Tommy Genesis, as well as DJ sets from Rae Sremmurd's Uncle Jxm and Brenmar. Doors at 9 p.m. The next day there'll be a block party from 1 p.m. to 5 p.m. in the same spot, which will be open to the public. Uncle Jxm and Brenmar will be back in the booth, and there'll be an open bar with Titos, a Los Tacos truck, a nail bar, a photo booth, art installations, and lots of matcha. See the flyers above and below for more details. Both events are 21+ — RSVP here.